Happy Thursday, I hope you are all having a great week so far!! Dies R Us online store! But, being it is close to Father's Day, and also being I have "needs"
I thought I would "bite the bullet" and get a little bit creative! 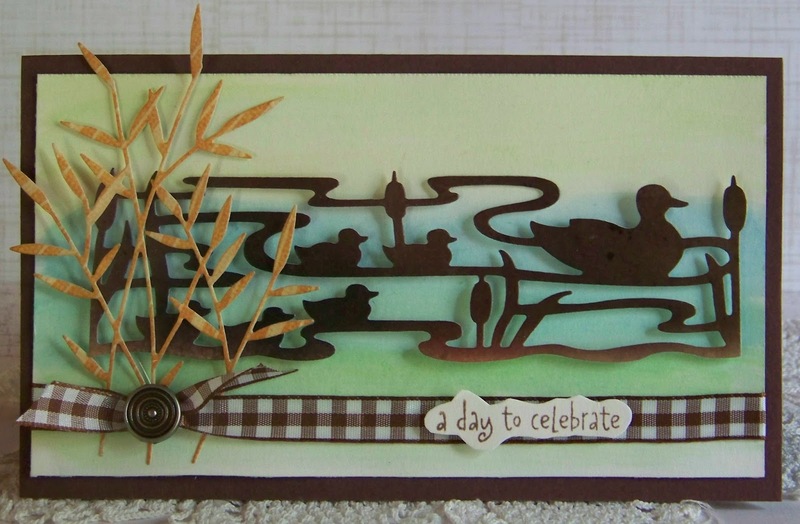 A perfect background for the Die-Namics Duck Pond to "float" on! that the TH Distress stencils arrive on! I think it gives the ducks a bit of variation of color! I kept the card simple to mail, by just adding Memory Box Bamboo leaves. by typing in the word "bamboo" and see all the choices!! Stop back Monday-Friday for daily NEW inspiration projects from the Design Team. Want to join in with us? Then you will want to check out our weekly challenges. Dies R Us online store. I will see you next Thursday! !